Each individual understands how to fit into the organization as a whole. The members understand one another through the sharing of common knowledge. They are bound together by a unity of will and interest expressed by their willingness to follow and obey their leader. A group so organized is effective, not only for the specific purpose intended, but also for an emergency. 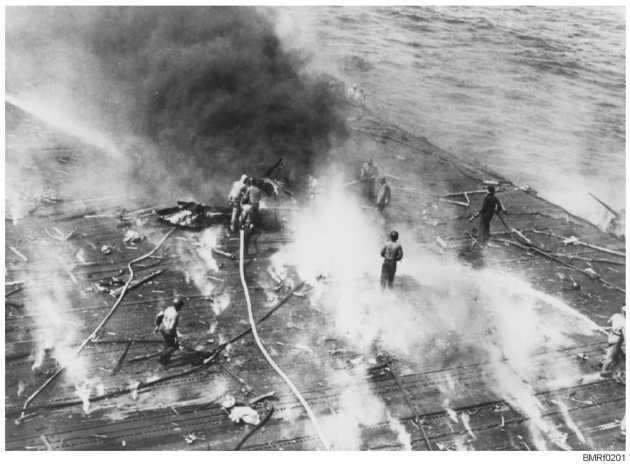 Thus, a gun crew may be readily converted into a repair party for carrying out any essential job within its capabilities; a company of midshipmen may be turned into a fire-fighting organization. A well-disciplined naval unit responds automatically to an emergency and is not subject to panic. PUNISHMENT Learning Objective: When you finish this chapter, you will be able to Recall the Navys concept of punishment. Based on the Navys concept, punishment is not personal, vindictive, or inflicted as revenge for misconduct. The Navy realizes punishment cannot right the wrong resulting from an act of dereliction (failure). The value of punishment is the object lesson the punishment teaches the wrongdoer and othersthe offense must not be repeated. That concept is referred to as the deterrent theory of punishment. To accomplish its purpose, punishment must be consistent and just and must be recognized as such by the recipients and their shipmates. Punishment should neither be of such a nature that it lowers self-esteem, nor should it be so severe that it is out of proportion to the offense. Recipients of Navy punishment should keep two facts in mind: 2-5 Student Notes: Figure 2-1.The results of discipline are shown in prompt and correct action in an emergency, and especially in battle efficiency.